Where will we paddle next? Book by 30 April 2019 for the 2020/21 season and Save 5%! Use promo code GEX05 during the booking process. Note: Applicable only to Twin categories 3-5! Past Passengers: If you have travelled with the MS Expedition before, you can save 10% on these departures - contact us for details. 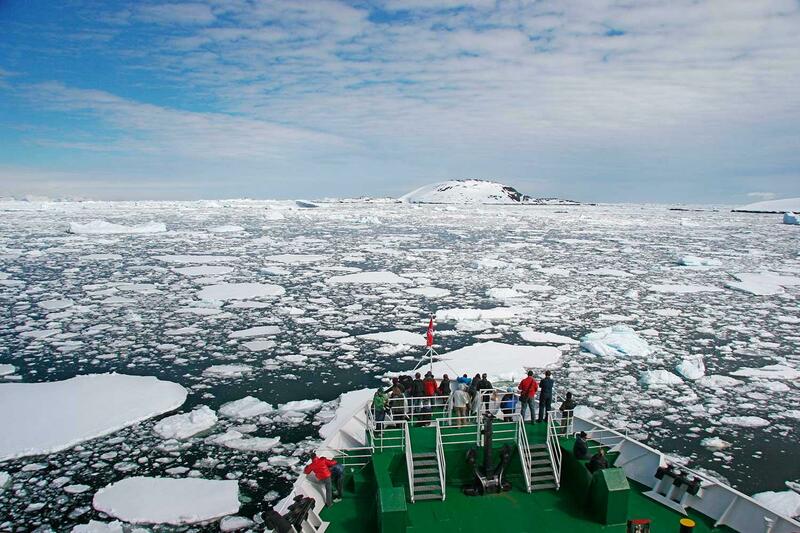 Take the opportunity to spend two extra days in Antarctica! 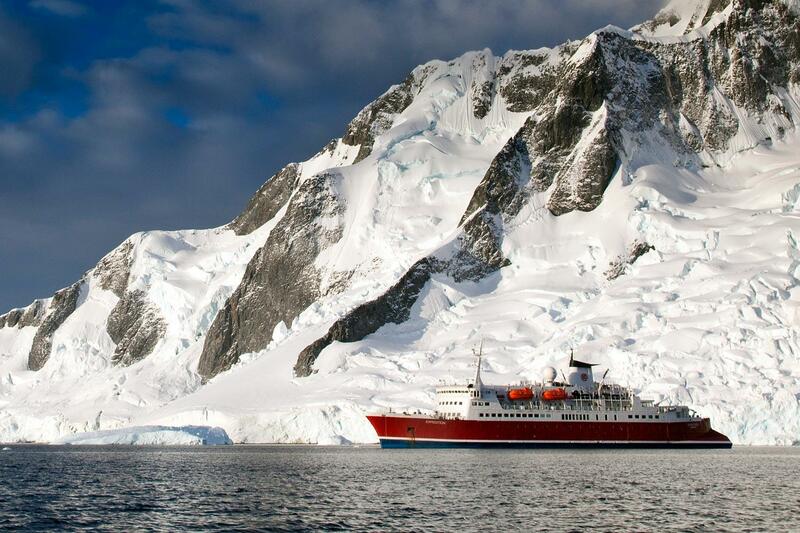 Like the ‘Antarctica Classic' itinerary, this 13-day expedition introduces you to the magic of the South Shetland Islands and the Antarctic Peninsula, but adds on two additional days to better explore its majesty. 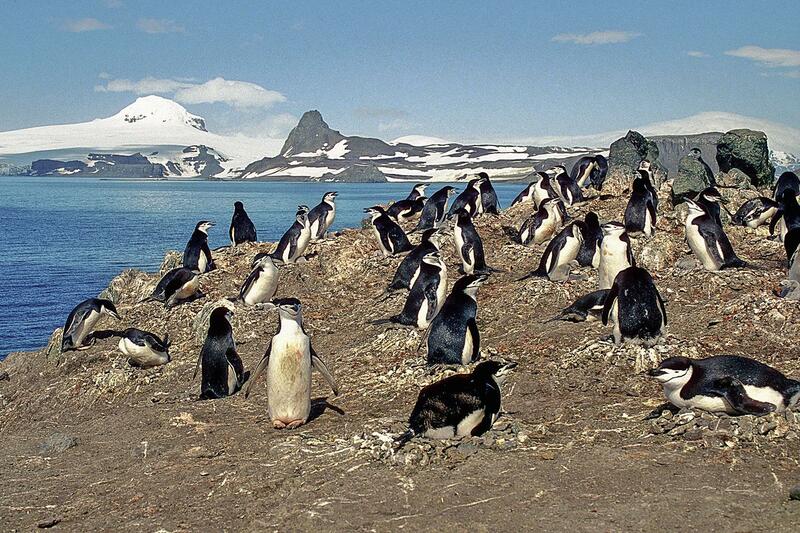 Encounter leopard seals lazing on ice floes and immense rookeries of penguins surrounded by towering glaciers. The Expedition’s expert guides and lecturers offer knowledge and insight that really bring the nature and history of the region to life, creating the adventure of a lifetime. Day 1 - Arrive Ushuaia Arrive into Ushuaia, the southernmost city in the world, at any time. An arrival transfer to your hotel is included. Sitting on the shores of the Beagle Channel, Ushuaia is a major tourist attraction, particularly for people such as ourselves cruising to Antarctica. The town of 40,000 is also a major ski resort area for both alpine and cross-country skiers and offers magnificent hiking in Parque Nacional Tierra del Fuego. Day 2 - Ushuaia Today we will embark on the M/S Expedition. Embarkation time is set for 4:00 pm. The morning is free to do any last minute shopping, an optional excursion to Tierra Del Fuego National Park or a good hike up to the Marshall Glacier. The evening is spent on board the ship watching the sunset over the Beagle Channel. Day 3-4 - Drake Passage Our adventure begins with a 400 mile crossing of the passage that bears the name of the 16th century English explorer Sir Francis Drake. 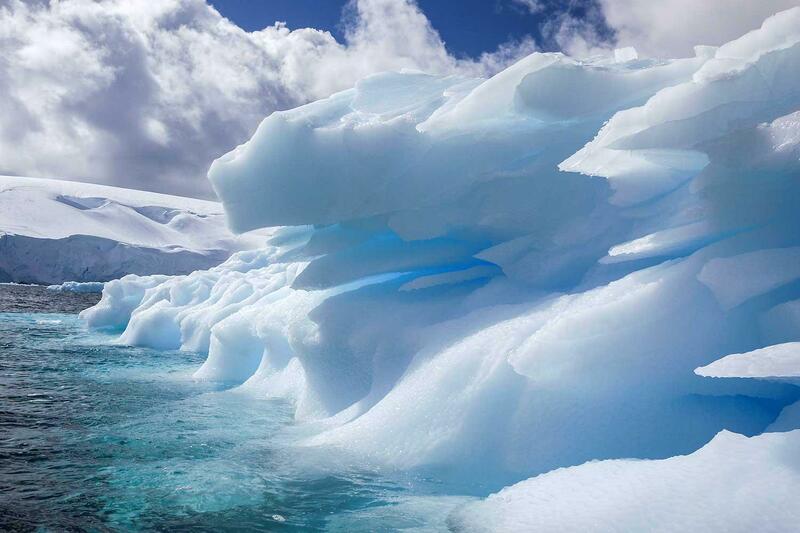 The M/S Expedition is at home in this part of the Southern Ocean, known for the unimpeded never ending fetch of the winds that encircle the Antarctic. At some point on the second day we cross the Antarctic Convergence, a meeting of cold polar water flowing north and warmer sub-antarctic water moving in the opposite direction. When we pass this zone, we have entered the most nutrient rich waters on the earth- the Southern Ocean. Wandering, Black-browed and Light-mantled Sooty Albatross, Prion's and Cap Petrels are among some of the species of seabirds that may join us in our journey as we cross into Antarctica. As we make the passage you have time to become acquainted with the ship and frequent the common areas that include the lounge, dining hall, library and lecture hall where we meet our guides, ship’s crew and expedition staff. We also begin the lecture and information sessions to learn the extraordinary human and natural history of the Antarctic region. 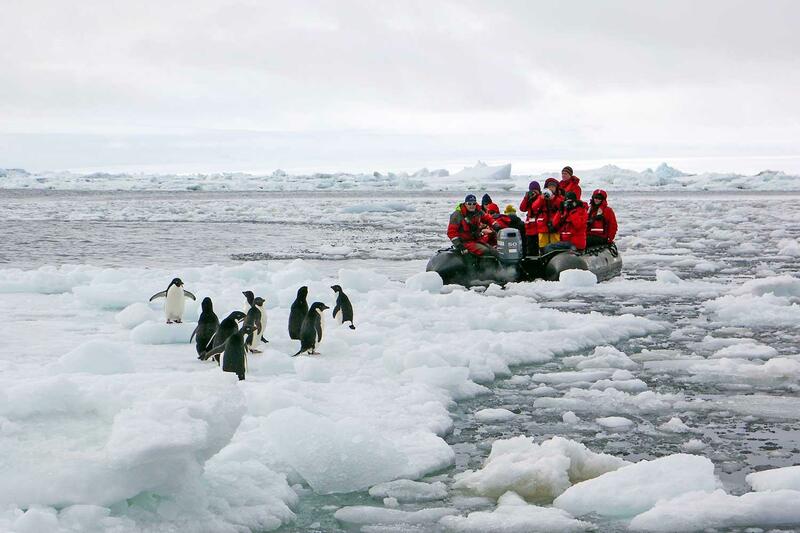 Days 5-10 - Antarctic Peninsula & South Shetland Islands With a total of 6 nights to explore the worlds most southerly ecosystem, you'll have more time to encounter the unique wildlife and awe-inspiring scenery of the Antarctic. Our goal is to get you ashore twice per day to encounter penguin rookeries, get a good look at the variety of seal species, and keep an eye out for the whales that feed in the peninsula's cold, fertile waters. During the voyage, you'll learn about some of the most important and dramatic expeditions to this remote corner of the world. Take an optional polar plunge, visit an abandoned whaling station or a working scientific research station and gain a new perspective on this part of world. 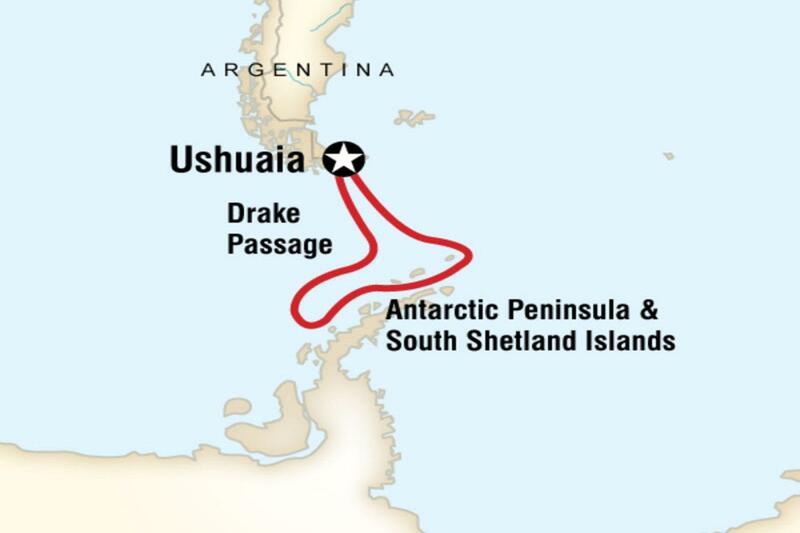 Days 11-12 - Drake Passage Begin your journey north to your home port of Ushuaia. 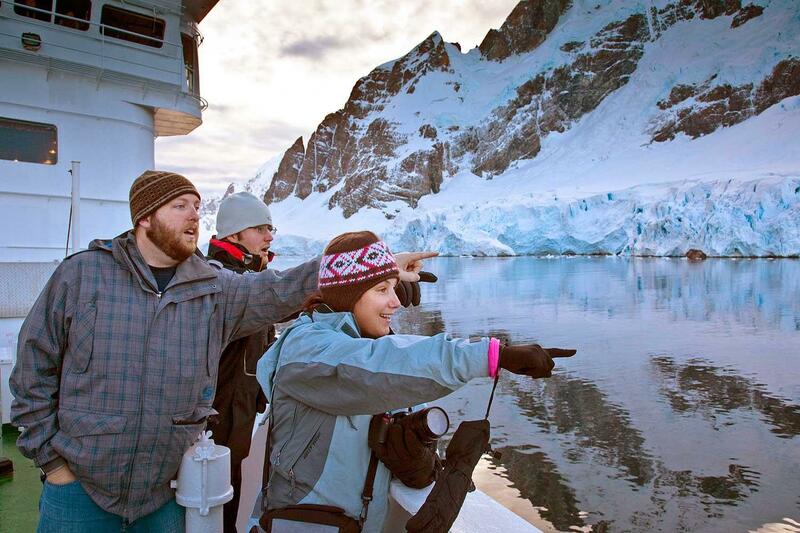 Review the highlights of your Antarctic experience with our lecturers and staff. Keep your eyes open on the observation deck for some last-minute whale sightings. Day 13 - Ushuaia And so our adventure comes to a close. We'll say our goodbyes as we disembark in Ushuaia in the morning. Note: Please note that while it is our intention of adhere to the itinerary described above, there is a certain amount of flexibility built into the itinerary and on occasion it may be necessary, or desirable to make alterations. On the first day onboard, your Expedition Leader will give you an expedition overview. The M/S Expedition provides an intimate small-ship cruising experience. Completely refurbished in 2009, she boasts spacious cabins, each featuring ocean-facing windows or portholes and private en-suite facilities. Large common areas and observation decks provide panoramic views of the distinctive landscapes of some of the world's most remote regions. The Expedition's spacious confines can hold as many as 140 passengers, but our commitment to keeping group sizes small means you'll never have to share it with more than 131 others. Many expedition cruise operators offer you a choice of space, comfort or expertise; the M/S Expedition delivers all three at a price few can top. 11 nights aboard the MS Expedition. Arrival transfer from airport in Ushuaia to hotel. 1 night accommodation with breakfast in Ushuaia. 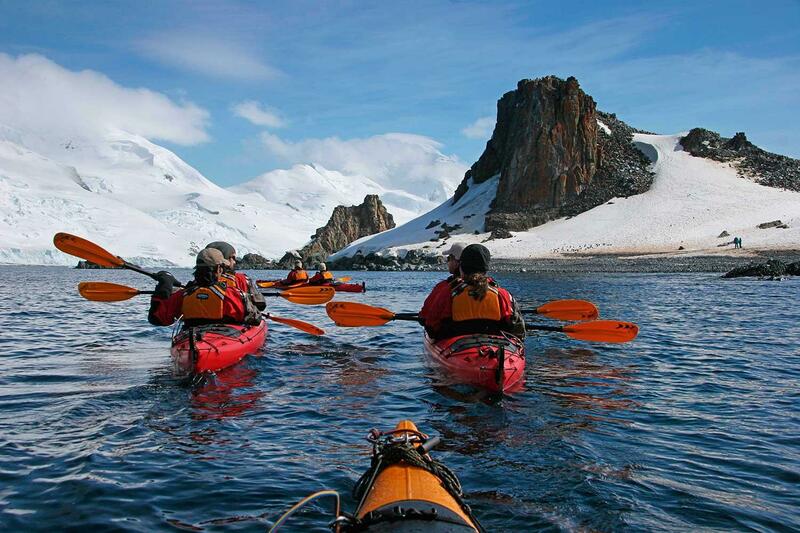 Zodiac excursions with our expert expedition team. Lectures and educational programs. Waterproof boots supplied for men's USA sized 8-14 & women's USA sized 3-9. Expedition Parka. 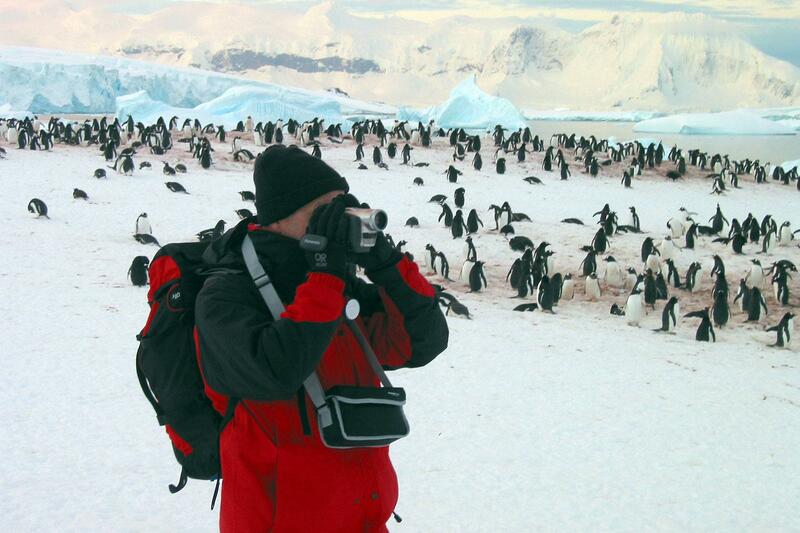 Antarctica destination guide book. All meals included on board the MS Expedition. Breakfast included at the hotel. Twin-share hotel (1 nt), aboard the MS Expedition in quad-, triple-, twin-share cabins, or suites (all with en suite bathrooms and porthole or window) (9 nts). Please note that all cabins consist of twin-size berths and are ocean-facing. Suites have one queen-size bed. MS Expedition, Zodiac, private bus. Excluded Flights to/from Ushuaia are not included in this tour. Share Bookings and Single Travellers If you are travelling alone and wish to share a cabin you will be matched with another person of the same gender and pay only the share room rate. If you wish to have a sole use cabin, the single supplement is 1.6 X the respective room rate (excluding Category 1). Deposits Reservations require a non-refundable deposit of US$1000 / EUR 1000 / GBP 500 / AUD 1000 per person at the time you receive a booking confirmation from Expeditions Online. A payment link will be sent to you and this may be paid by major credit card. Bookings within 120 days of departure require full payment. Final Payments Balances are due 120 days prior to departure. Balances can be paid by bank transfer - or by credit card subject to a 2% surcharge. 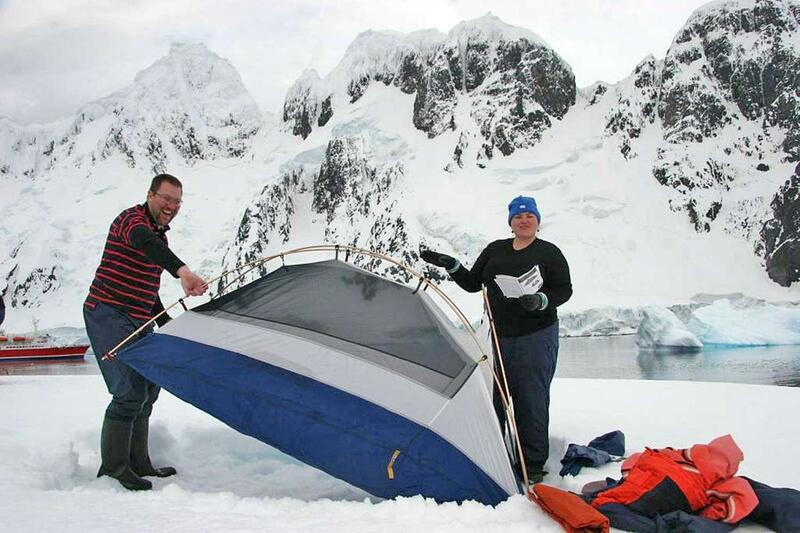 Cancellations All requests for cancellation must be received in writing to Expeditions Online. Cancellation 120 days or more before departure: Lifetime Deposit* held by the Shipping Company. Cancellation 119-60 days before departure: 50% of the cost of services booked, Lifetime Deposit* held by the Shipping Company. Cancellation less than 60 days before departure: 100% of cost of services booked, Lifetime Deposit* held by the Shipping Company. If full payment has not yet been received, the full penalty will still apply and any unpaid balance is due immediately. We strongly recommend that you obtain adequate trip cancellation insurance. Booking Terms Please read carefully the General Booking Conditions for Expeditions Online. This voyage is operated by G Adventures Limited of Canada and you additionally travel under their terms and conditions as the operator as well as those of the transport carrier. Details will be forwarded to you at the time of booking. *Lifetime Deposits Should you cancel, the specified deposit amount will be held as a ‘Lifetime Deposit’ with the Shipping Company for the MS Expedition, G Adventures, subject to the full extent of their terms and conditions. This Lifetime Deposit has no expiry and may be used as a deposit on one future tour with MS Expedition. Any specific permit costs above the deposit amount are subject to different terms and conditions as applied by the Company. The Lifetime Deposit has no cash value. Only one Lifetime Deposit may be applied per tour. All Lifetime Deposits must be applied to a new tour that is of equal or greater value than the cancelled tour. A booking may not be cancelled, and have the Lifetime Deposit applied to the same or similar dates of travel or a tour at a price lower than the cancelled tour. The Lifetime Deposit may be transferred or gifted to another Client.